The esport betting section at LeoVegas is quite new but doesn’t prevent them from offering a great experience and good bonuses. LeoVegas has been around since 2012 and stands out when it comes to creating extra good mobile experience, this is their main focus. This also applies to the esport betting experience on mobile as well as the casino which makes Leovegas a good choice for players who want to bet on the go! Looking for bonuses? If you what to know what Leovegas has to offer right now, click here! LegoVegas has a smaller selection of esport games compared to many other betting sites. 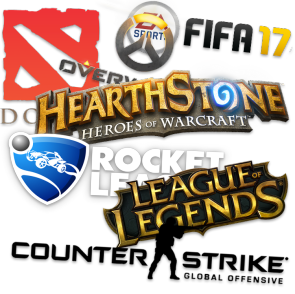 If you miss any of your favorite esport games you can check out GGBET or EGB for bigger esport selection. Like many other major gaming companies, LeoVegas offers several different bonuses. As a new player, you may choose to either use a casino or a betting bonus, but unfortunately you can’t have both. LeoVegas gives you up to $100 bonus with a 100% match on your first deposit. Your first bet is also matched up to $20, you will only be able to use this bonus on mobile. The highest available bonus amount is $100. Before withdrawing, the bonus amount must be wagered 5 times in odds 1.5 or higher (the odds also apply to all games in a combination). Example: If you receive $100 in bonus, you must bet $500. The bonus amount must be wagered within 30 days before the bonus expires. As a new customer, you immediately get 20 free spins when you open a game account. During your first four deposits as a new player, you will receive up to 400 free spins and $5,000 in bonus, this is an incredible bonus offer! All new Casino players from get 20 free spins when creating an account with LeoVegas. These have a wager requirement of x35 times the money before any winnings can be withdrawn. In order to take part in deposit bonus and free spins, the player needs to make a deposit of at least $10 per bonus offer. Deposit bonuses and included free spins from the welcome offer apply to the player’s first four casino deposits unless otherwise specified. LeoVegas first launched their site in 2012 and became quickly known as an online casino focusing on mobile with it’s slogan; “The best mobile casino”. The successes went fast and in 2013 they won prizes for their achievements as an online casino. Afterwards, the prices have continued to be collected steadily every year with everything from best mobile casino to the most innovative online casino. For those who love live betting, LeoVegas can suit your needs to an limited extent. The livebetting opportunities are somewhat limited, especially for esports. But we recommend trying out LeoVegas application to get a quick and good livebetting experience on your mobile. The mobile experience at Leovegas is very good so the livebetting experience on mobile will be as good. Those who mostly bet on their mobile, mainly care about getting a quick navigation and fast updated results will be pleased when using Leovegas mobile app. You will find the app for Iphone at Itunes store and if you use Android, the app can be found and download at Google Play store. LeoVegas takes security very seriously. They are one of the largest active gaming companies in the Nordic market. This means they have a lot of eyes and critics watching every move they make. To be able to compete in the absolute top, online gaming companies such as LeoVegas can’t afford to make any mistakes. Therefor, safety is given high priority so that you as a player can feel safe. If there is anything that really make LeoVegas stand apart from other gambling companies, it would be their super friendly support. The response is fast, they can be reached 24/7 and you are almost always faced with a surprisingly positive attitude even in tough situations. This is something we give a lot of appreciation for at Fragbetting.com, a good support can make the experience a lot better if anything would happen. The absolute minimum deposit at Leovegas is $10. Keep in mind that it’s not allowed to use someone else’s payment information to open a game account. If you use someone else’s information, any winnings may be lost. There is a good variety of payment methods that you can use when depositing. For most methods, your information will automatically be saved for future deposits. If you’re not comfortable with this, you can choose to delete any payment information after deposit is made. LeoVegas is not the strongest esport betting provider on the market today. However, that does not effect much more than it’s game selection for esport betting is slightly smaller compared to other esport betting sites. 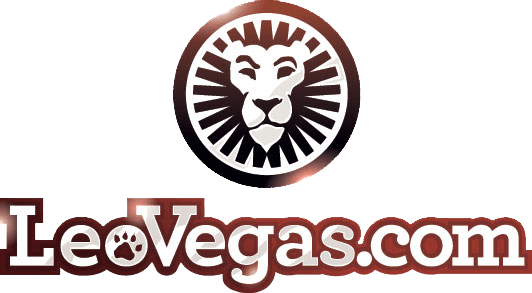 LeoVegas is still a very strong brand and in addition to its sportsbook, it has an award-winning casino that can provide a lot of fun for the player who will not only be betting on esport. For those who are only interested in esport and have no interest in casino games, we recommend checking out egb or gg.bet for a bigger esport selection.